Don’t put away your Halloween costume – save it for the Philadelphia Polar Plunge’s costume contest! These rules are for all competitors in the Costume Contest. You do not have to enter the Costume Contest if you are dressing up for the Philly Plunge, it is completely optional! ENTRY: Entry into the costume contest does not have an additional cost, but all entrants must register for the Costume Contest. ADVANCE REGISTRATION: There will be online registration for the costume contest. Register here before Wednesday, November 28th at 11:30 pm. DAY-OF REGISTRATION: Come to the Plunge early to register in person. Between 4:30 pm and 5:15 pm, we will be taking day-of registrations. 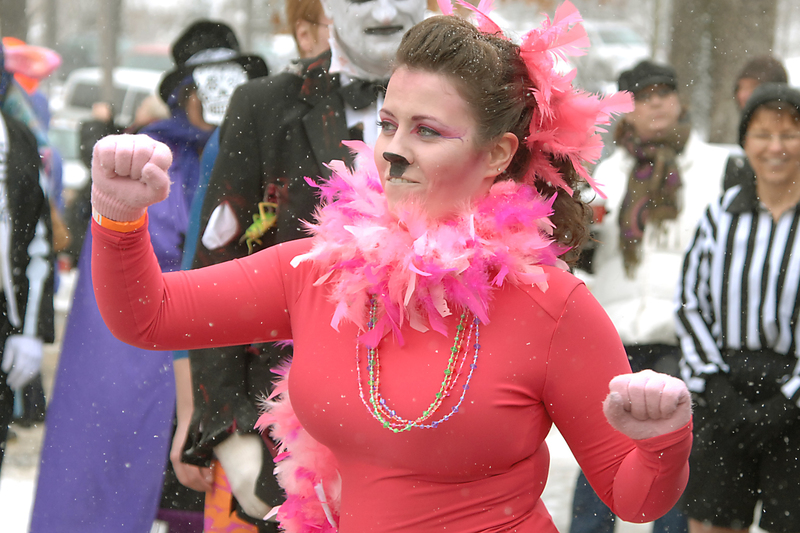 Costume Contestants must arrive at the Philadelphia Polar Plunge between 4:30 pm and 5:15 pm to check in and get their photo taken. Photos will be placed onto bags and then onto the Costume Contest Table for judging. Judging will take place on Plunge Day between 5:30 pm and 7:00 pm. Late contestants (arriving after 5:15 pm) will be disqualified! PHOTOGRAPHY: Pictures will be taken during judging of all participants. These pictures will be used for record and judging purposes. By entering the costume contest, you are agreeing to allow your image to be used in future advertising efforts. JUDGES: – Philadelphia Polar Plunge attendees will be the judge. To vote for a costume, attendees will drop money or a ticket into a contestant’s bag at the Costume Contest Table. 1 Ticket = $1. The person with the most money in their bag will win the costume contest. In the event of a tie, both winners will receive a prize. TICKETS: Tickets to vote on costumes will be available for purchase at the Registration Table/Plunge Gear Store. Tickets are $1 each. CHANGES TO THE RULES: While no changes to these rules are foreseen, certain circumstances may require that the rules be changed. Any changes to the rules will be noted in bold red print on this page. A complete set of current rules will be posted at the costume contest check-in tables. *Money received in a contestant’s costume contest bag will be credited to their Individual Plunge Page within 48 hours after Plunge Day.